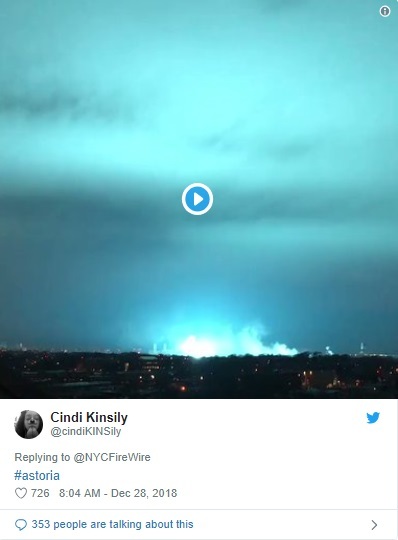 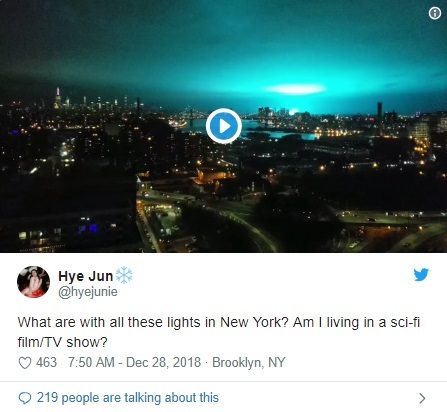 Like a scene straight out of a sci-fi film, the New York’s Skyline lit up in an eerie shade of blue after the incident at a power facility in Queens on yesterday late night, alarmed residents and sparking reactions on social media. 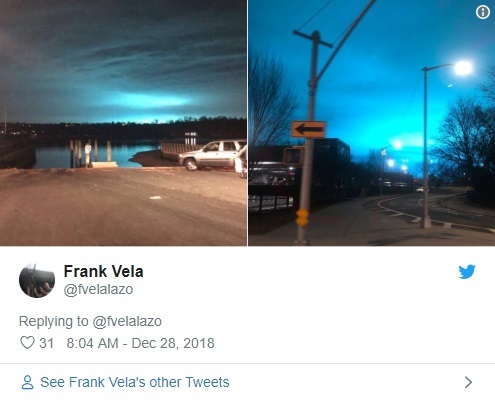 This incident further forced the city’s LaGuardia Airport to shut down temporarily. 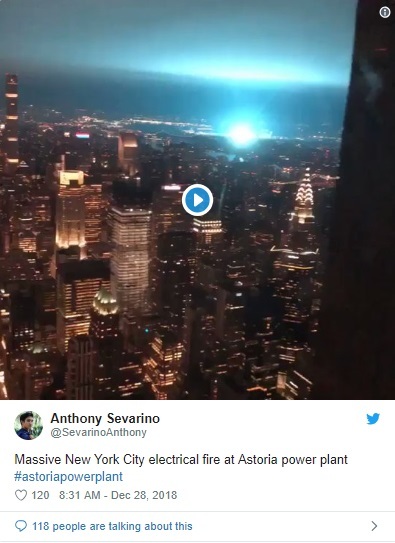 New York Police Department said that it appeared as a transformer, which had exploded at a campus operated by Consolidated Edison, a major energy company in the United States. 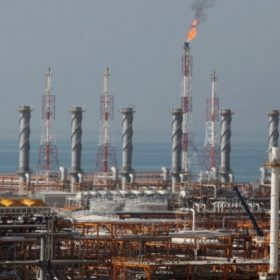 It further said that the fire had been brought under control. 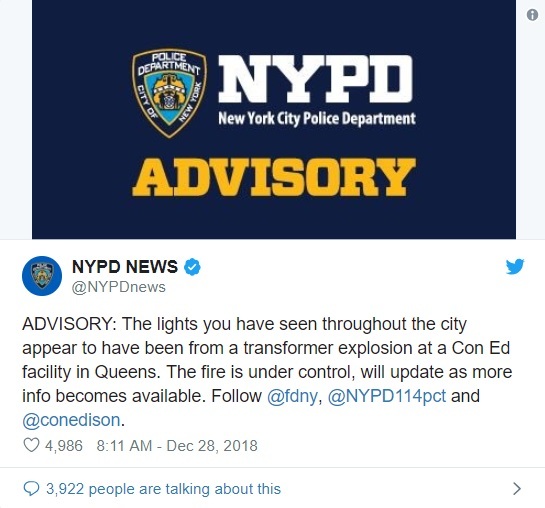 Con Edison further confirmed that a fire had broken out at their facility. 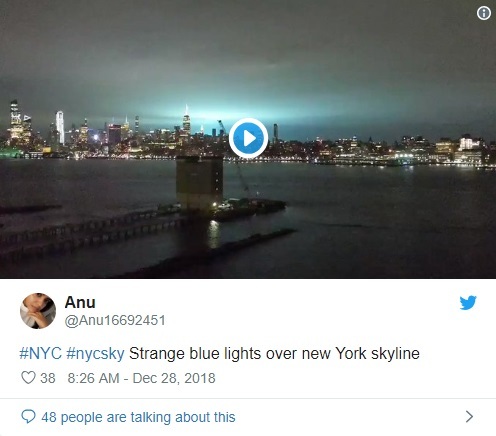 Social media users of New York city had flooded Facebook and Twitter with images and video clips of the unnatural incident. 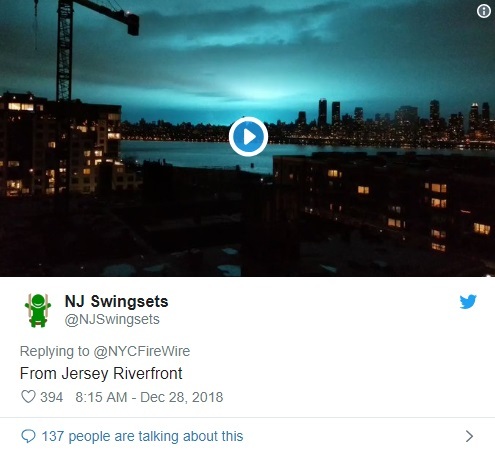 However, it was not immediately made clear if anyone was hurt in the transformer explosion or how many numbers of people were left without the power, reports source.